Beauty in the day: an old family friend found this long-ago picture of my dad. I remember the story of the bright orange jaguar. We had moved to Alaska, and my dad had flown down to California to visit some friends. I don’t recall the reason, but it had something to do with our church – my dad was a pastor. So anyway, I just remember when he got home from the trip, and he recounted the story of his transportation while he was there. One of the friends from our church back in Cali told him that he would provide him with a car to drive, so there would be no need to rent one. The Jag is what he loaned to him. My dad had a great time driving around in that. I have no memory of that. I wasn’t there. My memory is of my dad telling us about the wonderful generosity of the man that loaned it, and of the way that generosity made me feel about giving. 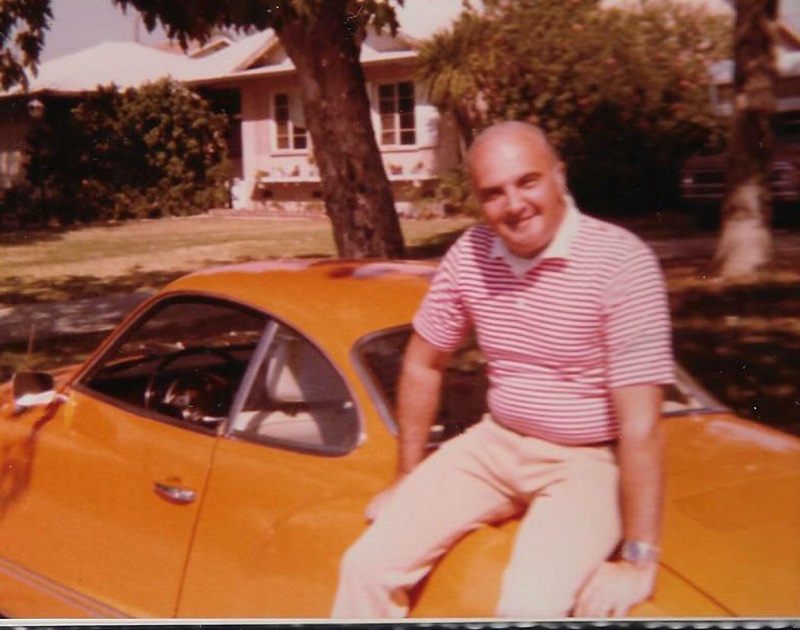 I distinctly remember being in awe of the guy that loaned the car – he gave my dad his best. I found – and find – that to be inspiring.